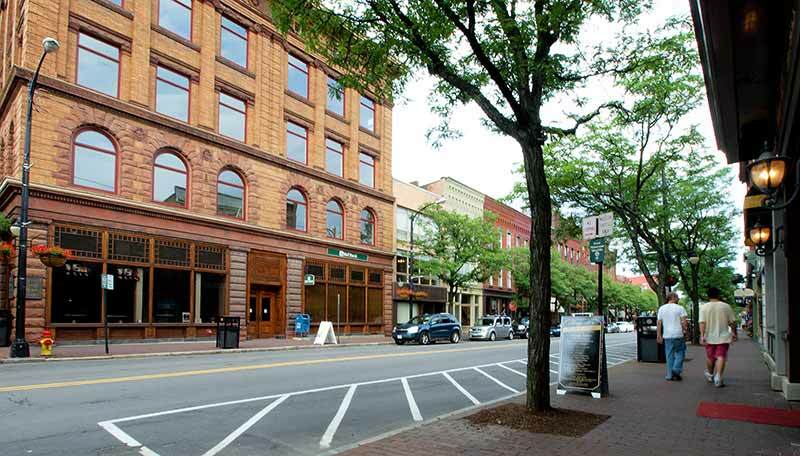 Corning, NY is a small city near the Finger Lakes, nestled in the quiet Chemung River valley. The city is rich with antiques, museums, and specialty shops, not to mention great hotels and plentiful restaurants. World-renowned for its glassmaking, Corning helps visitors discover the art, history and science of glass. Glassmaking studios freckle the city's cosmopolitan atmosphere and invite visitors to come witness the magnificent art of glassmaking. Cultural arts are also very popular in the Corning area. Live theatre, ballet and music groups add to the charm of this quaint little city in the Finger Lakes region. With a prime location on the Chemung River, Corning is a great place for fishing, canoeing, kayaking, river rafting, swimming and much more. Water-sports enthusiasts find this small city the perfect destination for excitement and adventure.